National Research Center on Meat (NCRM) at Hyderbad, India has filed a patent for chicken gongura pickle which was published by Controlled journal of patents which is the first step for grant a patent. NRCM scientist said that they have invented a method for extraction of meat and broth from deboned chicken and use gongura as natural acidifier not vinegar which is generally used to make pickle. generally used by people. Three steps in the process are entirely different and new. They also said that it can be store up to five months at room temperature if sealed in polyester pouches. Experts said that these patents claim should be examined properly and they have to prove their innovation with strong documentary evidence. Dr. Madabushi sridhar professor of Nalsar University said that to prove their innovation they have to show how their method is different. 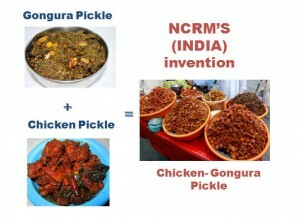 If method is finding not different then they can’t be given monopoly of chicken gongura pickle.